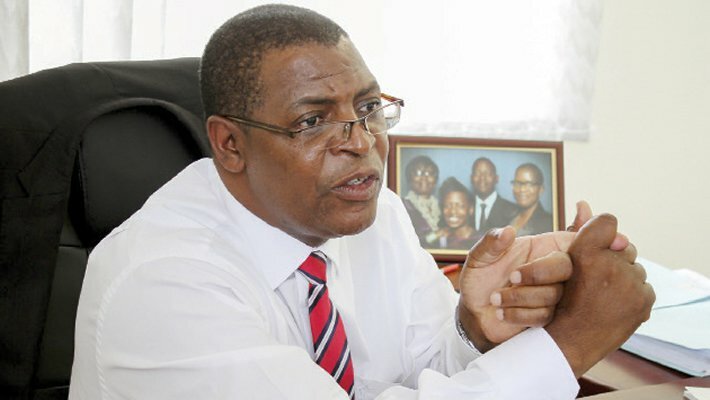 MDC Alliance spokesperson Professor Welshman Ncube has said the real contest in the forthcoming harmonised elections is between Zanu-PF and the MDC Alliance, describing other parties as a bridal team. Addressing an MDC Alliance rally in Bulawayo's Mahatshula suburb on Sunday, Prof Ncube, who is also the MDC president, compared the coming election to a wedding. He said in this instance Zanu-PF and the MDC Alliance were the groom and the bride. Prof Ncube said other political players, whom he described as the bridal team, would not make a difference in the polls. "When going to a wedding, you are invited by the bride and the groom. Don't be fooled by the bridal team, no matter how smart they are. The real contest in the coming election is between MDC Alliance and Zanu-PF. All these other parties are just the bridal team. It's not their ceremony," he said. Prof Ncube said the electorate should not be fooled by overnight political parties who will sink into oblivion after the polls. He said it was senseless that Bulawayo is having 204 candidates contesting for 12 Parliamentary seats in the province. "In Bulawayo we've 204 people who want to be MPs in Bulawayo's 12 constituencies. Bulawayo has fewer constituencies than any other province in the country. But it has the highest number of individuals wanting to be MPs. It has an average of 17 candidates per constituency," he said. "Could this be hunger? Even if its hunger, people you can't be that hungry. The stampede means that no one wants to lead and fix, instead they want to go and eat. Some of them we have never heard of them. We just saw them on nomination day and you want to vote for them? You want to vote for names that you've never heard of before." At the rally, he also introduced the MDC Alliance parliamentary and council candidates for Bulawayo East constituency.